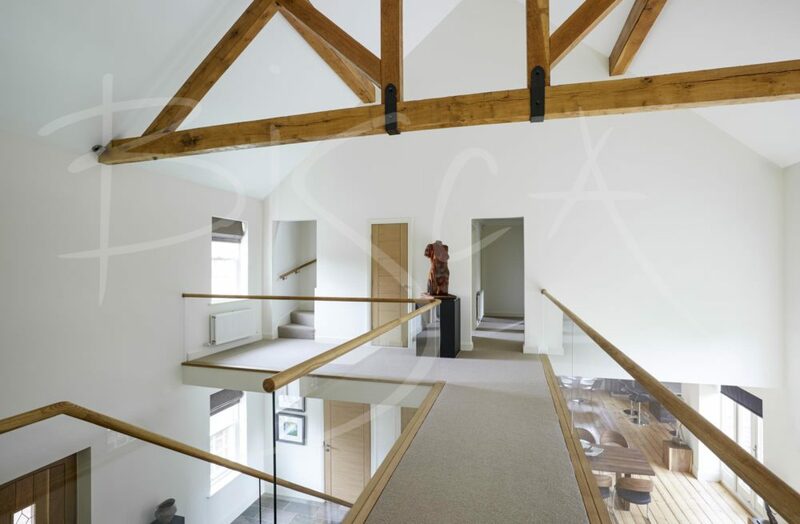 An open rise cantilever staircase for a property in the Vale of York. 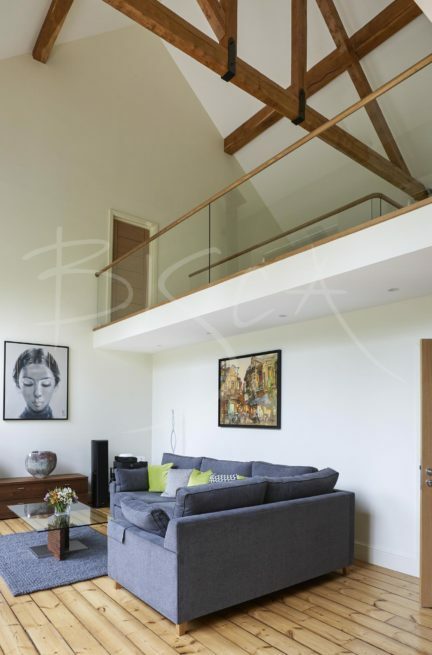 Our brief was to design, manufacture and install an open rise cantilever staircase for a property in the Vale of York. The staircase, from a ground floor entrance area to first floor, was to replace an existing one. The not so old staircase was made from stained, angular sections and posts that dominated the entrance hall. The stair was a physical and visual obstruction to anyone moving between rooms at either end of the hall. The clients wanted a contemporary replacement that did not dominate the hallway. 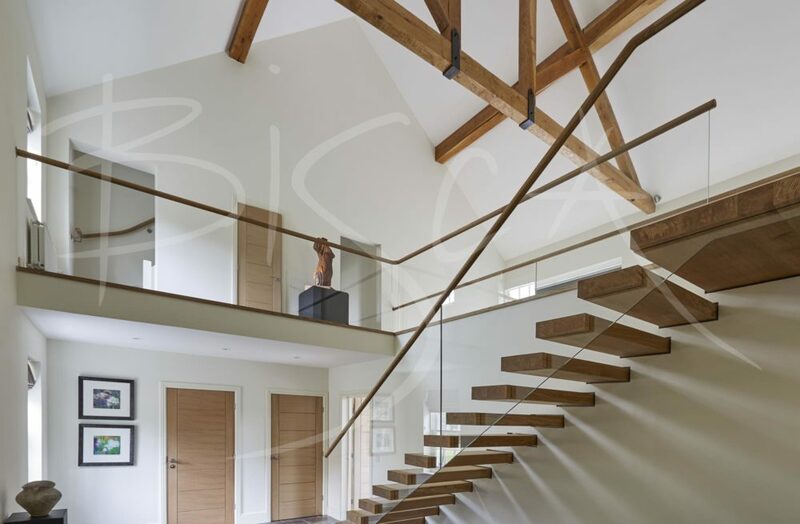 Bisca’s solution was an open rise cantilever staircase, supported by hidden steel plates within the wall. 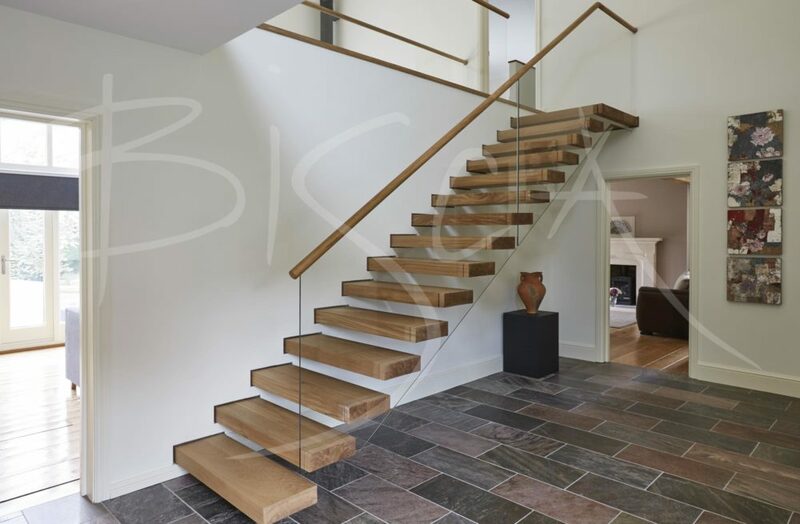 A low iron glass balustrade, made up of only two panels and capped with a profiled Oak handrail, sits on top of the glass. The balustrade and handrail continues onto and around first floor landing. The clients’ main concern was that the open tread staircase felt secure in use. Our design features a slight overlap of the treads as it gives a visually closed tread appearance when in use. Tread end caps cut from the same length of timber as the tread have a continuous grain, and thus the treads appear to be floating from the wall. This staircase is featured in our Before & After section.